With the festive season over, a new year stretches ahead full of good intentions with the determination to exercise and eat more healthily key resolutions for many. How good to know then that to keep the second half of this promise is relatively easy with the help of some delicious new recipes featuring the original superfood – watercress. Watercress (an 80g bag is available for as little as £1 from supermarkets nationwide) is the ‘star’ of smoothies, salads, soups and so much more. Boasting an incredible 50 vital vitamins and minerals, gram for gram watercress contains more calcium than milk, more Vitamin C than oranges, more folate than a banana and more Vitamin E than broccoli; watercress is a powerhouse of goodness. But, more than that, over a decade’s worth of medical research has shown powerful links between watercress and the prevention of cancer, as well as the reduction of exercise-induced DNA damage – something that could prove useful if you’re hitting the new year gym too. So, go ahead, enjoy this great tasting, healthy watercress recipe safe in the knowledge you’re keeping your word and on the way to a healthier you. A simple, delicious and very green smoothie. Ideal for breakfast for a healthy start to the day brimming with a range of fantastic compounds, vitamins and minerals that will leave you feeling energised and ready for anything. Add all ingredients into a blender or smoothie maker and blend thoroughly. Add more coconut water to achieve desired consistency if necessary, then either serve immediately or keep in the fridge for up to three days. This recipe was developed by development chef Keri Astill-Frew. Keri has worked in top restaurants across the UK including a Michelin star hotel in Lancashire and a variety of fine dining restaurants and gastro-pubs in Dorset and Sussex. 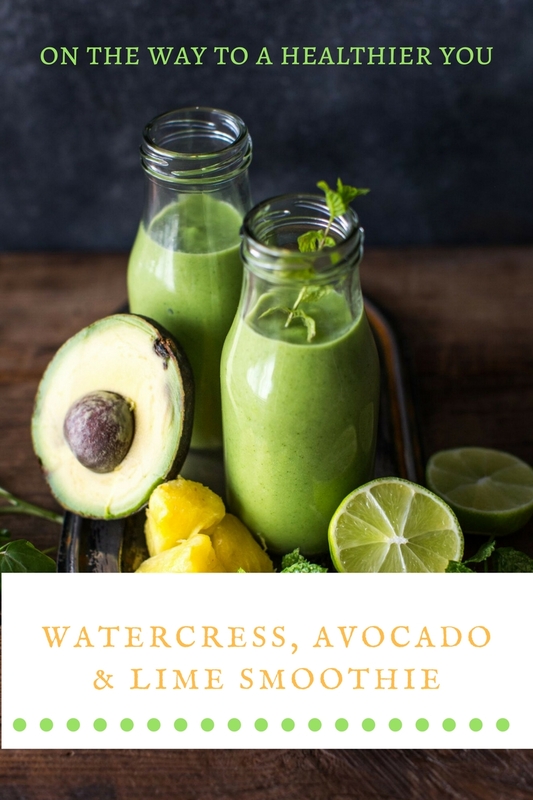 She is passionate about watercress, both as an ingredient and for its fantastic health benefits, and is devoted to developing new and delicious ways for you to incorporate more of it into your diet. 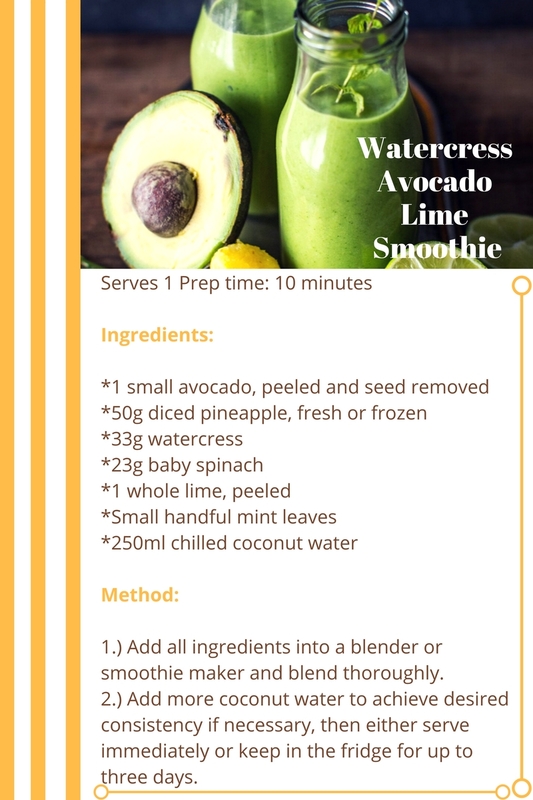 For more information and many more recipes please visit Watercress. 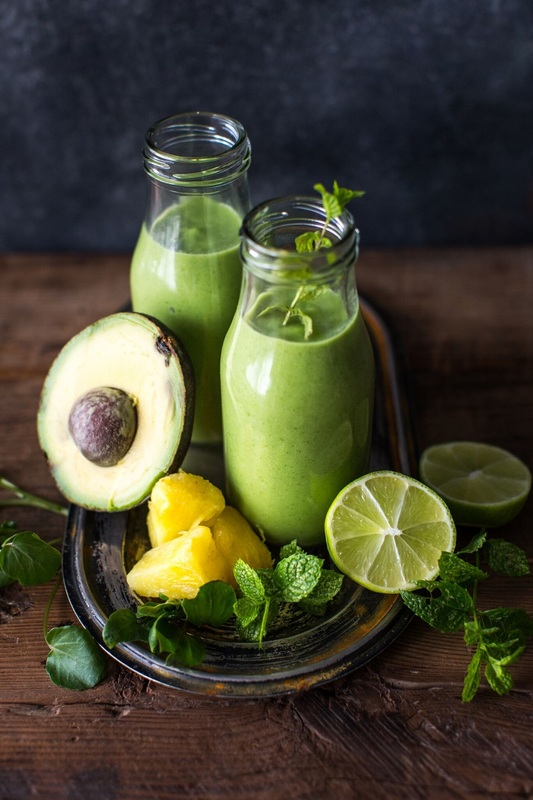 Fancy trying this Watercress, Avocado And Lime Smoothie? For more yummy smoothies, check out the smoothie list. "Dairy Free Beef And Watercress Griddle Cakes"
"Animal: Creative Mondays Link Up! My Irregular Choice"
Sounds delicious. I love making smoothies but keep forgetting to make some.